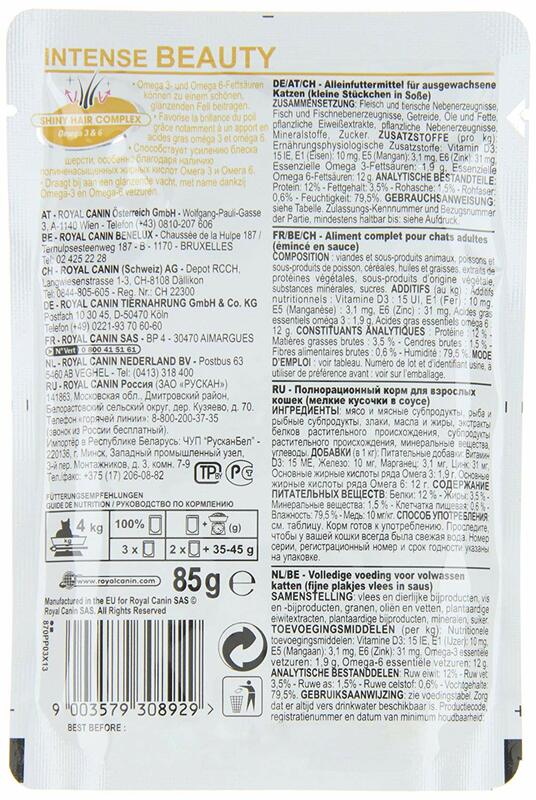 •APT FOR ALL BREEDS- Royal Canin Intense Beauty Cat Food is a diet apt for all breeds of cats to enhance their beauty. •	RICH IN VITAMINS & MINERALS- This Cat Food is made of meat and animal derivatives, fish and fish derivatives that make it rich in vitamins and minerals. •	IMPROVES SKIN & COAT: This diet is an assortment of all essential nutrients that improve the texture of a Cat’s skin and promotes a shiny coat. •	MAINTAINS ENERGY LEVEL- The food contains high protein content that helps in maintaining the energy level. 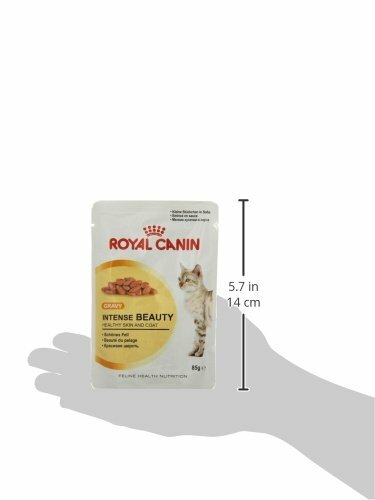 Royal Canin Intense Beauty Cat Food (Pack of 12) is a diet designed for all Breeds of Cats to enhance their beauty both internally and externally. This food is rich in vitamins and minerals, as it is an assortment of meat, animal, fish and fish derivates. The diet contains all the essential nutrients that improve the skin and coat of a cat. 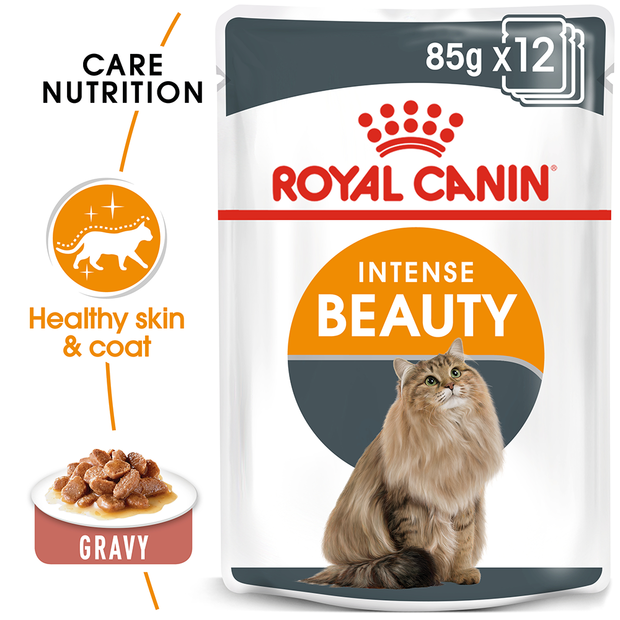 Royal Canin Intense Beauty Cat Food is also high in protein content that helps in maintaining the energy level of cats required for their daily activities.